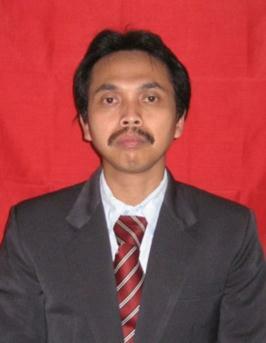 Dr. Juni 2012. Faculty of Agriculture. Padjadjaran University (UNPAD); Major in Ecophysiology; Minor in Wood Properties (Disertasi Title : Potency and Distribution of Surian ( Toona sinensis Roem.) and It’s Physical, Mechanical and Macro Anatomical Properties at Various Ecologycal Conditions in West Java) ; Advisor ; Prof. Dr. Aos M. Akyas. M.Si. Januari 2007. Forest Sciences. Institut Pertanian Bogor (IPB). Major in Wood Processing; Minor in Wood Drying (Thesis Title: Equilibrium Moisture Content and Strain/Stress on Woods Drying until Final Drying Process (Over Dry)) ; Advisor: Prof. Dr. Zahrial Coto. B.S (S.Hut). Maret 1995. Faculty of Forestry, Institut Pertanian Bogor (IPB); Dept. of Forest Products Technology; Major in Composite Wood; Minor in Particle Board; (Research Title: The Effect of Catalyst and Its Percentage Urea Formaldehyde on Physical and Mechanical Properties of Hevea brasiliensis Muell Particle Board) ; Advisor: Prof. Dr. Yusuf Sudo Hadi. Wood Based Properties (anatomy, physics, and mechanic), Wood Drying , Wood Working, Wood Composite, Wood Properties related Ecophysiology (Physiology of Wood). Familiar with various wood research instruments, wood working machines, hot press, cold press, etc.Auditor (certified) on performance assesment of sustainable production forests management. Atmawi Darwis, Ihak Sumardi, Yoyo Suhaya, Sopandi Sunarya. 2017. The Vascular Bundles in Surat Bamboo Culm (Gigantochloa pseudoarundinacea). Performance Assesment of Sustainable Production Forests Management PT. Wanagalang Utama – West Papua (2011). Performance Assesment of Sustainable Production Forests Management PT. Berkat Cahaya Timber – Center Of Kalimantan (2009). Performance Assesment of Sustainable Production Forests Management PT. Austral Byna – Center of Kalimantan (2008). Performance Assesment of Sustainable Production Forests Management PT. Inhutani II Sub Unit Malinau – East Kalimantan (2007). Performance Assesment of Sustainable Production Forests Management PT. Segara Indochem – East Kalimantan (2006). Performance Assesment of Sustainable Production Forests Management PT. Keang Nam Development Indonesia – North Sumatera (2005). Research for Physical And Mechanical Properties of Teak Wood ( Tectona Grandis LF.) on Various Age Class. Perhutani – Cepu (2004). Performance Assesment of Sustainable Production Forests Management PT. Parwata Rimba – Center of Kalimantan (2003). Studies on The Agroforesry Institution Around Gunung Geulis Forest Area, Sumedang, West Java, Indonesia. Indonesia Ministry of Forestry. (1999-2001).